Inject some self-care into your day. When you give your whole self to your family, some days it can feel like you have nothing more to give. After a full day of work or child-rearing, you can find yourself walking around like a zombie, picking up toys from the floor, folding yet another load of laundry, and wiping up spilled drinks. By the time you’ve read your last bedtime story and tucked in the kids for the 3rd time, you’re ready to drop. Sometimes, getting up early to squeeze in a little “me time” can go a long way, but when you’ve got lunches to make and yourself to make presentable, that time can get eaten up quickly, too. So, what can a busy mom do when you feel so overloaded that there’s no time for yourself? Think about what it would be like to feel refreshed, energized, and ready to embrace your day with a smile. Pretty great, right? You’re trying your best to give your kids everything, but you’re not actually succeeding because you’re not taking care of yourself, and you’re too burnt out to notice. You must give yourself some love so that you have more to give to others. 1. Bring small pleasures into your day. When you learn to live a mindful life, you notice more and feel gratitude for the little things that bring you joy. Instead of listening to repetitive news and weather reports while you’re on your way to work, sing along to your favourite uplifting tunes. Put on a self-help podcast while you’re fluffing your towels and choose to watch a comedy show over the same political commentary program. You can bring your kids into the mix and have a dance party. You’ll enjoy letting loose and they’ll love seeing you having so much fun. 2. Hold a yoga session with the kids. 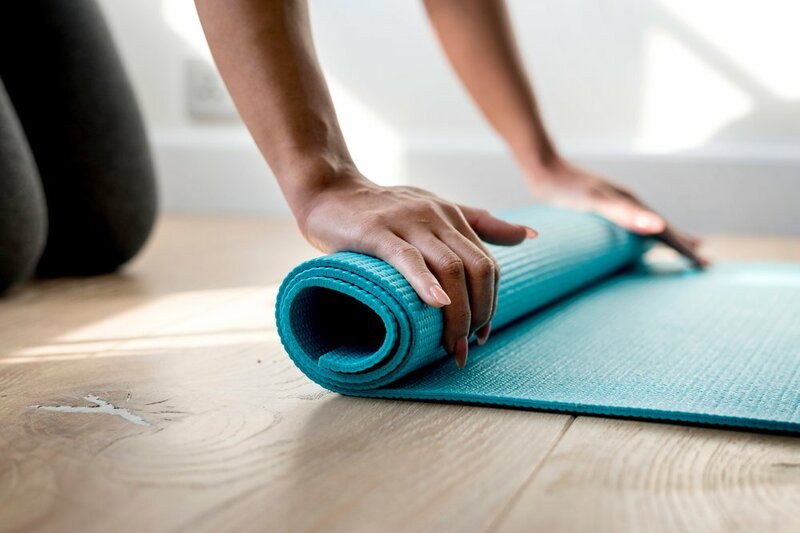 Even if you don’t have the time, money, or energy to take off to a regular yoga class, you don’t have to say goodbye to the idea of getting grounded and connecting with your breath. Yoga is good for the whole family! Fire up the laptop, put out some mats or blankets, and you’ll all feel a little calmer by the end of it. 3. Install a mindfulness app. If you’re having trouble making time for yourself, there’s an application that can flag you throughout the day and encourage you to stop, breathe, and think: Stop, Breathe & Think. This one is pretty kid-friendly, too, and there are plenty others like HeadSpace, Calm, 10% Happier, and Meditation Studio. For a few minutes a day, you can be creating positive habits, feeling more relaxed, and creating greater self-compassion. Runny on empty into the daycare or school to pick up your kids is not likely to generate pleasant feelings for either of you. Before you get out of the car, give yourself 2 minutes to let go of the day and regroup, You’ll feel recharged, ready for hugs and kisses, and 100% prepared to focus on them. 5. Indulge in a bath before bed. You know how much your kids love a good bubble bath with hints of bubble gum, lavender, or chamomile – and how much better they sleep afterwards. Same goes for you. Once the kids are asleep, pour yourself a nice bath with the salts your sister-in-law made you and layer on a face mask. If you can only spare 10 minutes before you have to crash out for the night, so be it. You’ll be feeling fresh and looking radiant. 6. Give yourself a Mommy time out. You might ask your kids to take a little time in their comfy chair to cool down after a tantrum. Who says you need to keep it all together all the time and be like an energizer bunny? When you need a breather, tell your kids mommy is having a time out. Get yourself some herbal tea, and get lost in the calming scent, and float away – even just for a few minutes. Even if you’re a super busy mom, you can melt away your stresses and give yourself a few minutes a day to focus on you. Incorporate some of these ideas, or create some of your own, just don’t feel guilty about giving yourself some love. You’re doing it for yourself and for them. Lisa Petsinis is a certified coach (ACC) who works with strong women who want to reduce overwhelm, bring their best selves to the world, and create a life they love. Visit her website to learn more about her signature programs and services, contact her for a clarity coaching call, or sign up for her newsletter for even more inspiration and advice.